Well the tight range of 17840-18040 on Sensex was maintained again today. There have been 6-8 bottoms and tops exactly in this range. Will it break ? Yes it has to but when is a difficult question to answer for now. So in either case 17400 and 18400 either of which needs to come. For now till 17800 holds one can expect the higher end to be tested. Auto Ancilliary stocks seem to be in focus yet again with superb results from Auto companies. We have had selective interest in the segment for quite some time. 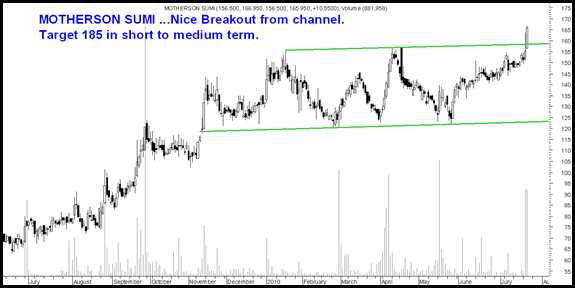 Another Auto Ancillary stock was recommended to clients is up 15% but will disclose later as more steam left. 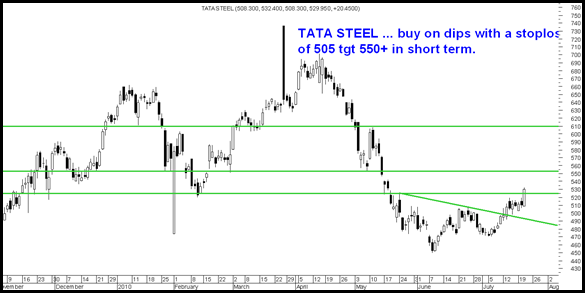 TATA STEEL : Seems set for a move to 550-600 in short term provided it holds on to 505. Buy on dips. The stock has consolidated for a long time. 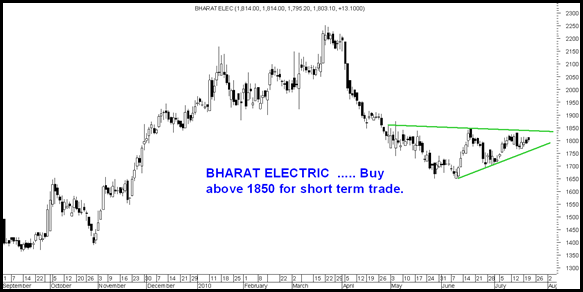 A move above 1850 could give good 100 rs move. 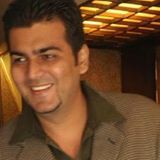 We would soon be conducting a seminar in Mumbai again in 1st week of August. Pricol and Munjal Auto look interesting in the Auto Ancillary space. Bombay Burmah trading corporation would like to invite views on this stock. Aarti Drugs and Aarti Inds with attractive valuations should get re-rated in next few months. Expect 20% appreciation. WOULD YOU LIKE TO GET OUR EXCLUSIVE ADVISORY CALLS AT ZERO COST or Absolutely Free ?? IF yes Do get in touch with our team Kazim 09821237002 Asif 09833666151 Nooresh 09819225396 ( after market hours only ). Nooresh sir pls comment on gtl infra stoploss and tgt in short term as this stock has become a big laggard and doing nothing at all . what is the implication with rcom deal in this counter. will it move only when rcom moves ? With high liquidity and large market cap stocks one needs to be patient. GTL infra my view is for 3 months where it could give decent appreciation. If you are impatient sell and re-enter whenever it crosses 50 in momentum.